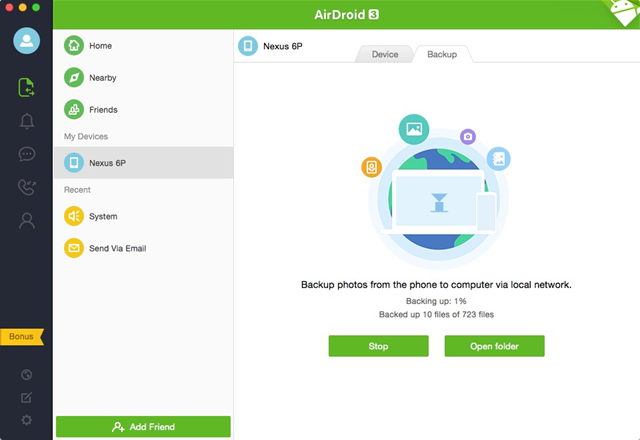 Anyone who's been hanging around Android Police knows that AirDroid is one of our very favorite tools. And a big part of what makes it so great is that the developers are constantly improving both the core file transfer functions and adding brand new stuff more or less constantly. The latest additional goodie is a photo backup system, more or less like the ones featured in Dropbox or Google Drive and their imitators, but minus the online cloud storage element. So, yeah, it's basically just copying all your photos to your local PC, care of a Wi-Fi network and the AirDroid desktop app. If you already use a backup service and it's working for you, there's no reason to switch over. But if you take more photos than you can store for free, or you simply don't trust other people to hang on to your stuff, this could be a real boon. The photo backup process is automatic whenever you're connected to your home Wi-Fi network, and the transfer is direct, never storing photos on a remote server. 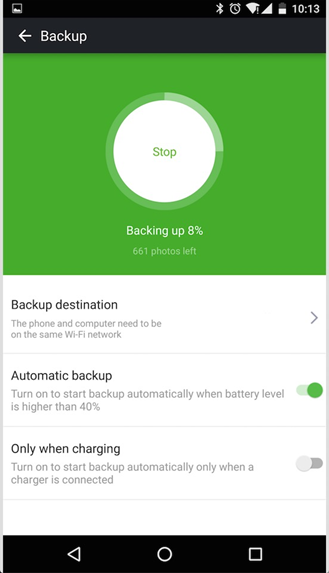 The backup function is new in version 3.2.1 of the Android app and 3.3.1 of the desktop client. The Play Store listing doesn't appear to have the update just yet, but the latest versions of both applications are live on the AirDroid website. Get after it.